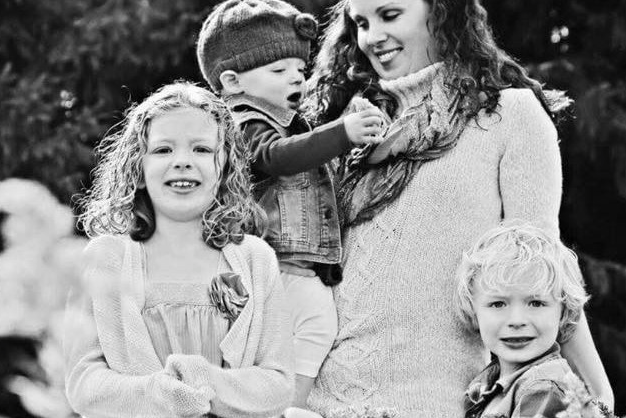 Megan Short and her three children, 8-year-old Liana, 5-year-old Mark Jr. and 2-year-old Willow. The Children's Hospital of Philadelphia has launched a fundraiser to honor the victims of a family murder-suicide that occurred earlier this month in Sinking Spring, Pennsylvania. On Monday, the Berks County district attorney released new information about the tragic deaths of 33-year-old Megan Short and her three children — 8-year-old Liana, 5-year-old Mark Jr. and 2-year-old Willow — at the hands of her 40-year-old husband, Mark Short Sr. The couple had been struggling with domestic issues in the months leading to the planned attack. Megan was on the verge of moving into a new home when Mark Short purchased a handgun to kill his family and later kill himself, leaving behind a suicide note. The Short family's relationship with CHOP formed in the aftermath of Willow's heart transplant, which was widely publicized after the family's difficulty obtaining medication was chronicled in The New York Times. The Philly Heart Community will always remember and cherish the Short family. Taken from us all far too soon, Megan, Liana, Mark Jr. & Willow's spirit will live on in the hearts of those they touched so deeply. The Children's Hospital of Philadelphia's Cardiac Center was a huge part of the Short's life after Willow underwent a heart transplant at 6 days old. Megan gave selflessly to the heart and transplant communities to support all who walked similar journeys. The family would want donations to go to the Cardiac Center, so that other families can continue to receive the love, support and hope that the Short family received. "I am so grateful to know these incredible families!" Megan once said. "Though it isn't a club anyone wants to join, I am glad we have been able to get to know each other. I cannot imagine traveling this journey without you." Hundreds of people attended a funeral Mass for the Short family on Friday morning in Northeast Philadelphia. Megan's message to families facing heart complications lives on in the video below. Donations to CHOP's fundraiser can be made here.